Kids are thirsty for fun, and stand up paddle boarding delivers. SUP kids are finding the thrills of racing and wave riding, or discovering a whole new spin on an ancient practice with SUP yoga. There’s some big money in races for the junior category, particularly in North America, sending fearless young SUPers hunting for the perfect wave with an eye to the prize. Exciting video shot in France and Jersey during the summer. We need more of this for all interests kids to see! Once a kid’s got the bug, no encouragement is necessary. The beauty with paddle boarding is that young boarders get the same core workout as adults without knowing it’s a workout—if only homework could be like that! It’s a fabulous, fun way for all kids to keep fit, while improving balance and strength. Organized youth performance paddling events, demos, lessons and various kinds of SUP kid classes can be found wherever there are large bodies of water. 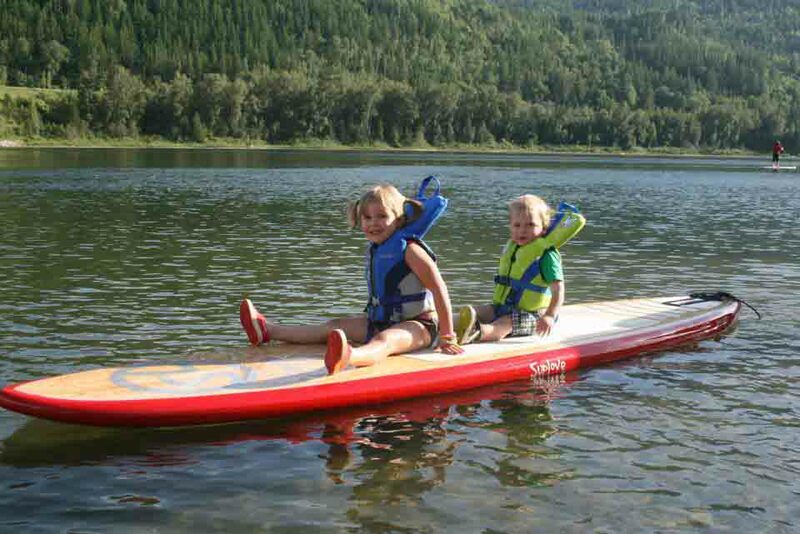 For first-timers, be sure to take your kids to flat water. Demos and rentals with instruction are ideal for getting started, or if you’re already seasoned, teach them yourself. Remember how easy it was for you to get going? Get ready to pass the thrill of discovery along, building confidence and having fun. And—bonus—the whole family can stand up paddle board. So get started! Make it a family day and show them how easy it is. Invite your child to write about their awesome SUP experience using the form at the bottom of the page. Make it easy. Consider a board that is light enough for your child to carry. Make sure the board is light enough for your child to carry. When it comes to fast-growing kids, manufacturers are addressing the issue with paddles that adjust for length. And "breakdown" paddles (into 2 or 3 pieces) are available to make carrying and storage easy. It is possible for a family to have one board for everyone to share. An inflatable SUP is ideal for this as these boards are more durable and stand up to rougher handling. Then, all you have to consider is the paddle or paddles to suit everyone's height. The bonus is easy storage. carrys a full line of kids boards. Check it out. The following video shows off the super stable "Badfish" SUP. This presentation really says a lot about the ease of stand up padde boarding. 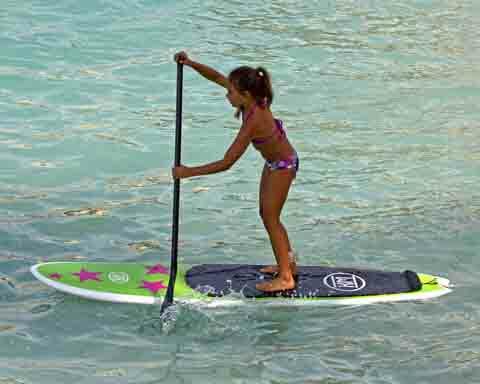 This video is a review of the Fanatic Ripper stand up paddle board for kids. 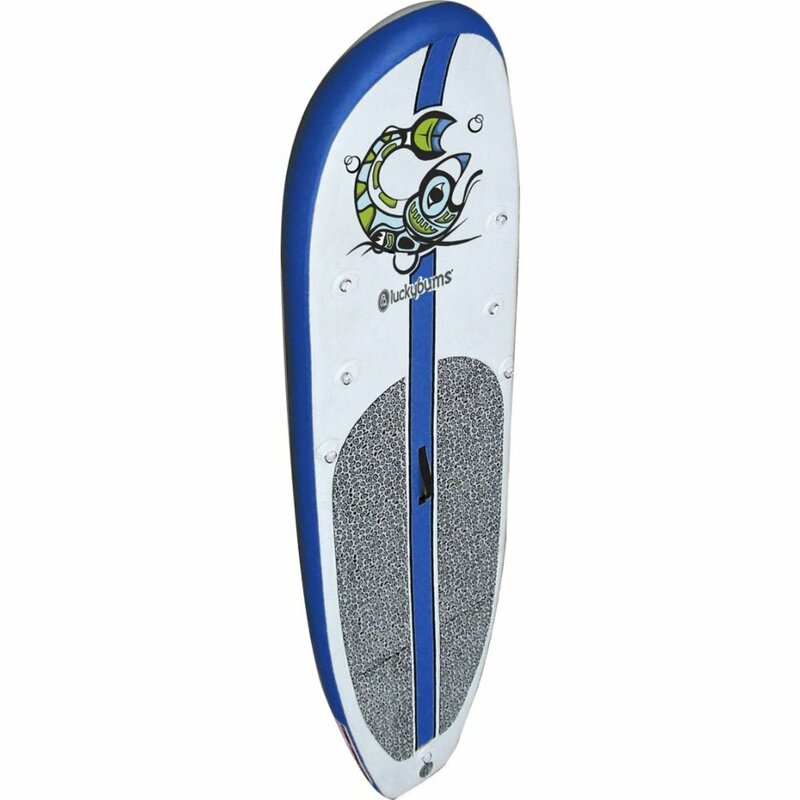 This board has sensible kid proof features including a retractable fin. ATX "Rocket" stand up paddle board for kids up to 130lb. Its design allows for faster paddling compared to most kids boards. Search for flat water and surf lessons and camps for kids on the web. There are too many to list here! These camps provide instruction in skills, safety, how to read the ocean or river (currents and weather changes), maintenance and dent repair, and more. Ask what is included before you enrol; safety should be a top priority. Tony Stearns owner at Radfish Malibu, California U.S. and SUP and Surf camp in Malibu will offer a kids camp the first Sunday of each month starting in June and will run through October. This is a great chance to be of service and help some great kids do something they might never do otherwise. Tony is asking for help. Any volunteers are welcome.. You will have a blast and make a lot of people happy. SUPing on the Colorado River. This group has tours for the whole family. Manchester by-the-Sea MA 01944 U.S.
Lake George in upstate New York U.S.
Surfco Super-flex SUP fin for kids and more. 4 yr old oddler SUPing - parent holds a teather for safety. Youth paddle surfing and flat water paddling. Parent and child paddle surfing boarding. DESCRIPTION: interesting article on kids and racing. DESCRIPTION: SUP yoga for kids. 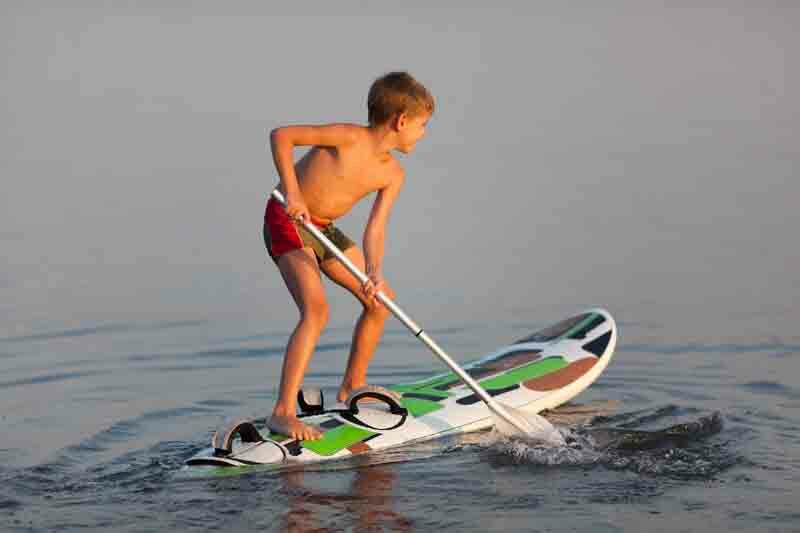 DESCRIPTION: SUP for Kids Demo and Lessons. Did you have an awesome SUP camp experience or amazing day of surf? Where? How did it come about? What was the best part? What next? Hit us with your story using the form below. If we like it, it will be posted here. Give us the good stuff. Speak your truth and be appropriate. All stories are monitored before posting. Where did you go, what did you do, who did you see? For first-timers, be sure to take your kids to flat water. It will ensure confidence right from the start. Pre-schoolers Layla 4 years old and Tao 2 year old enjoy an afternoon on the river.